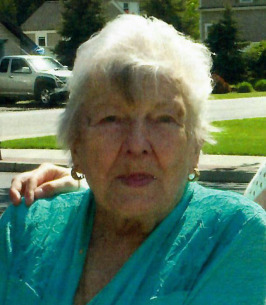 Mary Brunda Puzio of Wallington, entered eternal life, on Thursday, November 22nd, she was 97. Mary was born in Passaic, NJ on August 22nd, 1921, to Justin and Serafina (Harahuc) Brunda, and was raised in Garfield. Mary was married to her beloved husband Henry Puzio in 1950, and the young couple moved to Wallington. Mary had worked at Mailco for a number of years. She was an avid supporter of animal groups and children's organizations. Mary enjoyed sewing and was a music box collector. She was a parishioner of the Russian Orthodox Church of Three Saints in Garfield. She is survived by her loving and devoted children, Maureen Puzio and Alan and his wife Diane Puzio. She is survived by her grandchildren Jesse Puzio and Jamie and her husband Troy Hartsgrove, great-grandson Noah, her sister Helen Ferbiak, brother Peter and his wife Nancy Brunda. She was predeceased by her beloved husband Henry, her cherished son Kenneth and her siblings Anna Grap, OIga Brunda, John Brunda and Paul Brunda. To send flowers to the family of Mary Brunda Puzio, please visit our Heartfelt Sympathies Store.